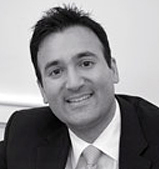 Mani is a Partner at Quilvest Private Equity and Head of Funds & Co-Investments globally. He joined Quilvest in New York in 2005 and opened Quilvest’s Hong Kong office in 2010, where he is currently based. He is a member of the Executive Committee. While at Quilvest, Mani developed the Asia and emerging market private equity programs and currently oversees Fund & Co-Investments globally, with a particular focus on Asia and the United States. Mani initially joined Quilvest in NY as a member of the direct investment team focused on lead and co-investments primarily in the United States. Prior to joining Quilvest, Mani worked at Alvarez & Marsal, a prominent crisis management and restructuring advisory firm, where he worked with creditors and distressed companies in various operational and financial turnaround situations. Prior to A&M, Mani worked as the Director of Finance and Strategic Planning for a data center and data communications provider in the Northeastern United States. Mani started his career in the Media & Communications and International investment banking practices of Donaldson, Lufkin & Jenrette, both in New York and Hong Kong. Mani received his MBA from the Harvard Business School and a BBA with a concentration in finance from the University of Michigan. He is an advisory board member or board observer on a number of Quilvest’s funds and co-investments. In addition, Mani is on the board of EMPEA, the Emerging Markets Private Equity Association. He is married with three children.